Amongst all the packing and dispatching of orders, the unpacking after the trade show, the packing of stock for the Hobbycrafts show at the SECC in Glasgow next week and so much more, I thought I'd send out a quick newsletter to let you know what's happening in our corner of the craft industry. The trade show was a wonderful success. It's always lovely to see our retailers and this year they were out in force. Like us, they are very excited about our new products and if you are fortunate to have an Imagination Crafts' stockist in your area we hope you will visit and support them. Our Lisa worked her magic on setting up the stand and we received many compliments on how eye-catching and beautiful it looked. We launched a number of new products and the eagle-eyed among you may be able to spot some of them in these photos. We'll obviously let you know when they're on our website. 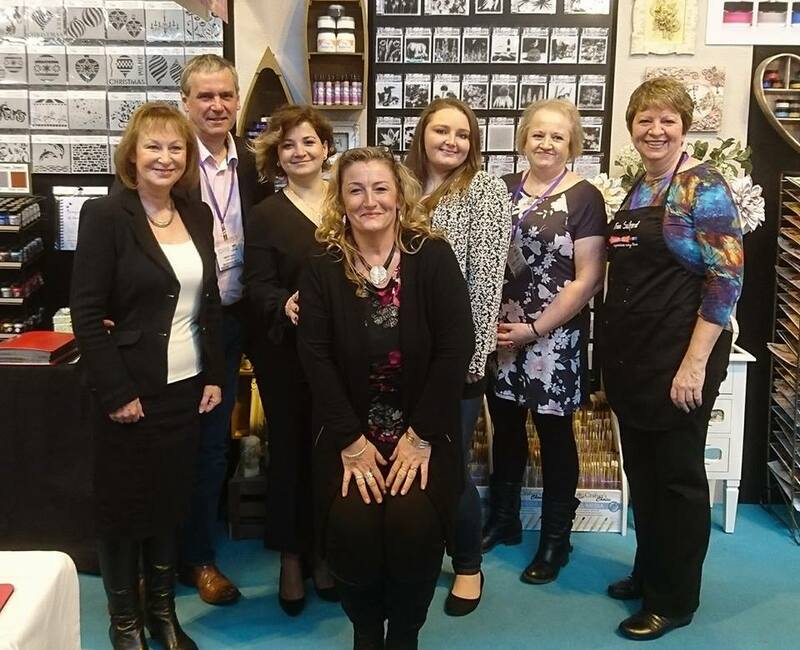 It's incredible to think that it's almost a year since we introduced rice papers and our gorgeous Textile Starlights paints on Hochanda and now we're bringing more beautiful creative textiles to you in three shows tomorrow. 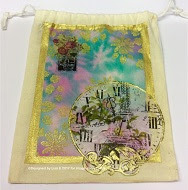 Lisa will be showing you our new Textile Fashion Ink Sprays, a new collection of Textile Starlights, new stencils an much more. These products are so versatile and they're not just for textiles. 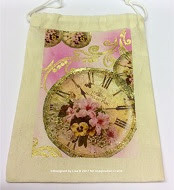 They can be used on canvases, for card making and much more besides, so they're ideal whether you're new to paper crafting or creating with textiles. To make the textiles fans even happier, we will be introducing a revolutionary, new decoupage adhesive which will make your textiles washable. Programme times tomorrow are 10am, 2pm, and 6pm. All of the products available in the shows can be seen HERE. 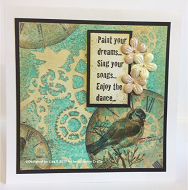 On Sunday morning, February 26, at 7am I'm doing a one hour mixed media show on Hochanda, showing you how you can use the products on cards and canvases. I've got to be up at 4 and in the studio at 6am, I may have to break the habit of a lifetime and start drinking coffee!! The programme is being broadcast in Holland, which is a first for me, so I hope you can tune in. That's all from me for now. Thank you once again for your support, I hope you have a lovely weekend. Hello everyone, Kirsten here. 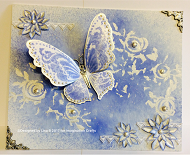 I was demoing the new Sparkle Medium colours on tags at the trade show on the Imagination Crafts' stand & I thought I would show you some of them. 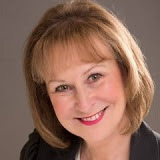 Thanks for visiting the Imagination Crafts' blog. Until next time, happy crafting.